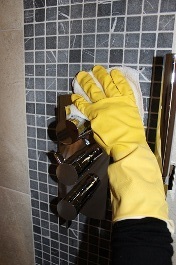 Best Cleaning Services has professional cleaners for all of your cleaning requirements. We serve all London areas. Our cleaning agency in London will provide the best service according to your individual cleaning requirements. We can have our cleaner conduct a free consultation so that you can create a customized checklist of cleaning tasks that you want our cleaner to do. All of our cleaners have undergone rigid training to ensure that they have the skills and capacities to provide high quality cleaning results. Our cleaners are fully insured in the rare case that an accident beyond our control occurs. You can also have our cleaner do the washing and ironing if you don’t want to do it yourself. Best Cleaning Services will replace your cleaner if needed, in case of absence or if the cleaner is unable to show up during the appointed time. We also provide very affordable upholstery cleaning prices. If you need to learn more about our cleaning services in London, feel free to call us on 020 3322 1702.